When you suffer a traumatic accident at work, it is not uncommon to experience multiple injuries. In some cases, a work accident aggravates pre-existing conditions and causes psychological harm as well. You should notify your employer right away. The employer will notify its workers' compensation insurance carrier, and the insurer will be responsible for either denying or accepting your claim. An insurer may deny part of your claim and accept part of your claim. If you are concerned about a partial denial of your claim, the Boston workers’ compensation lawyers at Pulgini & Norton may be able to help. A partial denial occurs when the workers' compensation insurer denies one or more conditions of an employee's claim but accepts some conditions of the claim. For example, an insurer might claim that certain injuries are not work-related because your medical records show that you have a pre-existing condition, or the insurer believes the injury happened outside the scope of employment. However, a pre-existing condition that is aggravated on the job may qualify for benefits. 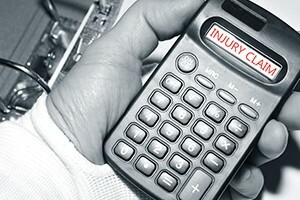 If you suffered an injury completely outside the scope of your job, it will not qualify, but there are instances in which an injury occurs partially within the scope of a job and partially outside it, making it possible to dispute the insurer's denial. Sometimes insurers accept a physical injury portion of a claim but deny coverage for any psychological injuries. The Massachusetts Workers' Compensation Act does cover emotional disabilities, but they are harder to establish than physical disabilities are. If you seek workers' compensation benefits for an emotional disability as well as physical injuries, and only the emotional disability portion is denied, you will need to show that but for your physical injury, you would not have developed an emotional disability. Workers' compensation benefits are available for mental disabilities that are considered to grow out of physical injuries. Insurers that decide to deny a workers' compensation claim must send by certified mail an Insurer's Notification of Denial, which is a Form 104. On the form will be an explanation of the reason for the denial. If you receive a partial denial, you will be approved for some benefits but not others. You have the right to appeal even a partial denial. Often, insurers deny benefits even if a claim is legitimate. The Form 104 will include instructions about appealing a denial, including the timeframe within which you must file your appeal. Generally, you have four years to appeal the decision described in the Form 104. When you appeal a partial denial, you must complete a Form 110 (Employee's Claim) and include all of the medical evidence that supports your injury, including medical bills, imaging, and the doctor's chart. This package should be sent to the Department of Industrial Accidents (DIA), which administers the workers' compensation system, as well as to the insurer. The DIA will then schedule a conciliation, which is the first step of dispute resolution. Although the workers' compensation system was put in place to make it easier for injured employees to access much-needed compensation, victims usually find it challenging to navigate the dispute resolution process alone. Our experienced Boston workers' compensation attorneys can assist employees whose claims have been fully or partially denied. We represent people in Waltham, Newton, and Andover, among many other Massachusetts cities. Contact Pulgini & Norton at 781-843-2200 or through our online form for a free consultation with a workplace accident attorney.